Induced Earthquake Studies: Are Disposal Wells To Blame? The U.S. Geological Survey released an updated report (that you can read here) regarding the alleged link between induced earthquakes, defined as earthquakes triggered by commercial activities, disposal wells or and hydraulic fracing. USGS scientists studied 17 geographical areas spanning eight states, where increased seismic activity has been recorded that is presumably attributable to human activities and commercial endeavours, to try to develop a preliminary forecast model designed to determine how induced earthquakes could be assessed in geographical regions where increased oil and gas operations are occurring. 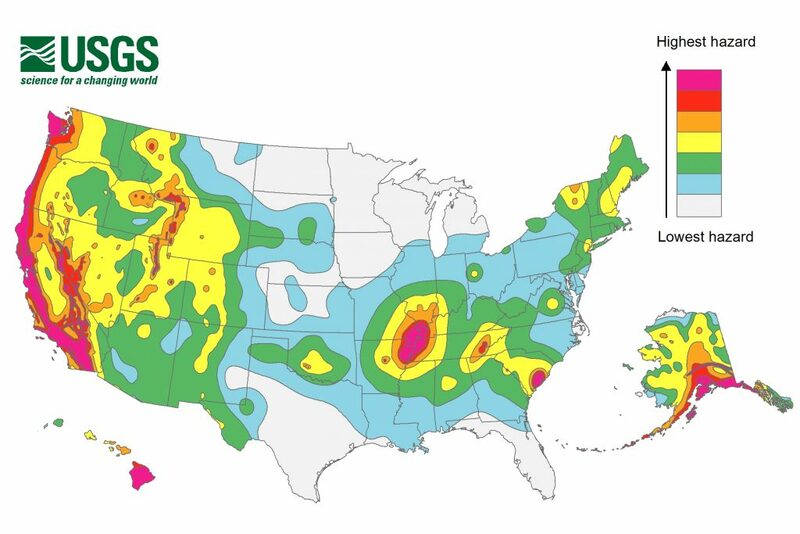 The report is the first comprehensive study conducted on the hazard levels associated with human activity induced earthquakes. The new forecast model focuses on a small time frame of just a single year, which is intended to better reflect how quickly induced quake seismicity can change based on how much oil and gas production is occurring in a certain area and whether changes to local policy (i.e., changes to oil and gas production laws) come into effect. They believed that the smaller window of time will be more accurate when predicting earthquake hazard potential due to how quickly activity that is associated with induced activity can impact the chances of an earthquake. On the other hand, traditionally earthquake hazard forecasting has been based on a large timescale model that takes into consideration only natural earthquake hazards. The resulting forecast is embodied in the USGS National Seismic Hazard Maps. The most recent update to these maps was in July 2014. The hazard maps predict the likelihood of earthquakes spanning a 50 year window of time, and are particularly useful when preparing for the construction of buildings, determining building codes, planning emergency preparedness plans, and determining insurance rates in certain geographical regions. In light of these new developments in seismic activity hazard forecasting, the report indicates that new models will be using data from both natural and induced quake sources to predict the likelihood of seismic activity during a one year period in specific geographical areas. Why Are New Forecasting Models So Important? Induced earthquakes may be the result of disposal wells, which are wells used to dispose of water from fracing or salt water that is produced along with oil in some wells. The water is injected into a disposal well, which might increase the underground pore pressure or lubricate nearby faults. The majority of disposal water wells probably do not produce earthquakes. However, the USGS study noted that earthquakes with a magnitude of 3 or greater, which can be felt at the surface and may cause damage to buildings, are up to 100 times more likely in some regions than they were just seven years ago! The areas with increased seismic activity, natural and induced, are also areas with increased oil and gas activity during the same period. The states involved in the study – Alabama, Arkansas, Colorado, Kansas, New Mexico, Ohio, Oklahoma, and Texas – have historically had few quakes, but have shown an increase in seismic activity that may correlate with the increase in oil and gas production in those states. The USGS believes that the increase frequency in minor earthquakes, 3.9 and below, is directly linked to oil and gas activity. The rate of induced earthquakes observed in Oklahoma has increased from 1-2 per year to two-three per day. In Colorado, the Oil and Gas Conservation Commission ordered an operator to stop injecting waste water in a disposal well near an airport after a 3.2 magnitude quake occurred. During the time that the disposal well was offline and being modified, the shaking stopped. When the modifications were complete, injection was resumed. There is currently no evidence that an induced earthquake could cause a catastrophic earthquake, such as a 7 or greater on the Richter scale. USGS researchers are now monitoring to determine if induced earthquakes could trigger moderate earthquakes, those with a magnitude of 5. It is believed that frequent moderate earthquakes with a magnitude of 5 or higher would cause more harm that infrequent catastrophic earthquakes.